That didn’t go to plan. Fallout 76, announced at E3 earlier this year, was met warmly by fans. Excitement ran so high, in fact, that Twitter ranked it as the third most tweeted game at the show, while Fallout was the fourth most popular topic – notably defeating PlayStation and Ubisoft. It wasn’t Fallout 5, but fans seemed happy to see a new Fallout game just two years after the last. They were even happier when Bethesda announced it would release later the same year. Then the B.E.T.A. hit. Critics and fans alike noticed the game wasn’t exactly…working. Our review was kinder than most, but we still wouldn’t recommend it, not even at the $40 price tag it quickly dropped to on Black Friday and Cyber Monday. In short, it’s a bit of a disaster. Yet that doesn’t necessarily mean Fallout 76 is doomed. Gamers love a good redemption story. No Man’s Sky is the most recent example, an infamous stinker that has slowly morphed into a charming space exploration game. Other popular examples include Diablo 3, Final Fantasy XIV, and The Elder Scrolls Online. No Man’s Sky, riding a mountain of promise, good press, and player hype, was released in August 2016. The buggy, disappointing mess of a launch and Hello Game’s failure to deliver led to unrelenting backlash -- players eviscerated the game and requested refunds en masse. But instead of giving up and fading into obscurity, the studio dug down and spent the last two years refining and optimizing their game into a product they now say they’re proud of and represents their original dream for No Man’s Sky. That last game, naturally, is the most relevant, and the initial failures of most games are eerily similar. 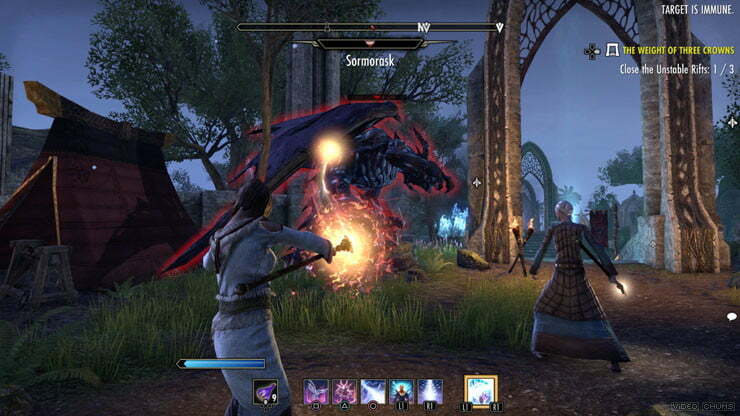 Like Fallout 76, The Elder Scrolls Online (ESO) was slammed for its swarm of bugs, spotty launch-window connectivity, and a general sense that bringing the franchise online had dispelled the magic. Fallout 76 has received a harsher Metacritic average of 55, but ESO’s average of 71 paled in comparison to Skyrim’s stellar average of 94 on PC at release. Bethesda won’t hesitate to make the transition to at least a limited free-to-play Fallout 76 within six months. It was a huge disappointment, and the game went free-to-play in less than a year. Yet that didn’t stop ESO. It continued, saw a soft re-launch called Tamriel Unlimited, and continues to see expansions, the last of which launched on October 22, 2018. Fallout 76 free-to-play? Sure, why not? There’s plenty of reason to think Fallout 76’s future will follow The Elder Scrolls Online’s template. Converting an initially paid title into a free-to-play game might seem like a lazy or incompetent move, especially when people paid at least $60 to pre-order the game. Yet it was already slashed as low as $35 for Black Friday. Bethesda has shown time and time again that it’s willing to price games exactly as high as people are willing to pay, reaction be damned. That’s why Skyrim Special Edition still has a $40 MSRP, yet The Elder Scrolls Online starts at $20. It’s a newer game, but let’s face it. It’s not as good as Skyrim. Bethesda can lift its entire strategy for Fallout 76 from ESO. The Elder Scrolls Online isn’t a fully free-to-play game. A subscription isn’t required, but you do need to buy the base title. Fallout 76 could follow that same format and quickly reduce its price to $20, but there’s a problem. Its received even harsher reviews, and it’s also not as large or technically ambitious. ESO’s story isn’t great, but it’s there. It’s not a fantastic massively multiplayer game, but it’s a solid entry in the genre, with the crowd, hub cities, and deep character progression that implies. Fallout 76 has none of that. Elder Scrolls Online (left) and Fallout 76. That, I think, will be reflected in the price. Fallout 76 launched with a cash shop that’s already populated with a fair stock of items. The free-to-play foundation was live from launch. I think Bethesda won’t hesitate to make the transition to at least a limited free-to-play incarnation within six months. Lowering the price to zero will also lure more players, which makes more sense here than most online games. Despite what you may have heard about its PvP elements, Fallout 76 is an almost entirely cooperative game that works best in a group, and a free-to-play option would remove a barrier that keeps skeptical friends from heading into the wasteland. No matter if Fallout 76 drops considerably in price or plunges straight down to zero, you can expect it to operate much like any other free-to-play title. 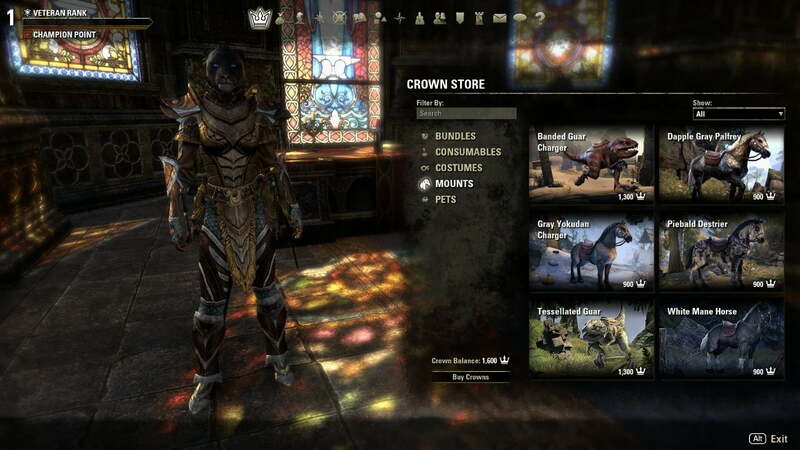 The cash shop, which is already present, is going to be filled with items, following a template that Elder Scrolls Online has built with its Crown Store. This won’t require any adaptation. 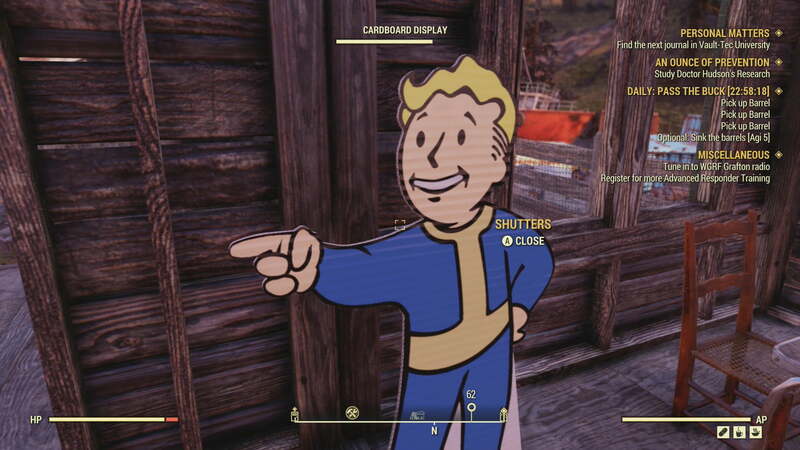 Bethesda can lift its entire strategy from ESO because, like that game, Fallout 76 includes a robust player housing system that’s easy fodder for paid cosmetic upgrades. You won’t find mounts in Fallout, but players often use Power Armor which offers plenty of cosmetic upgrades. Just don’t expect Bethesda to change the fundamentals. 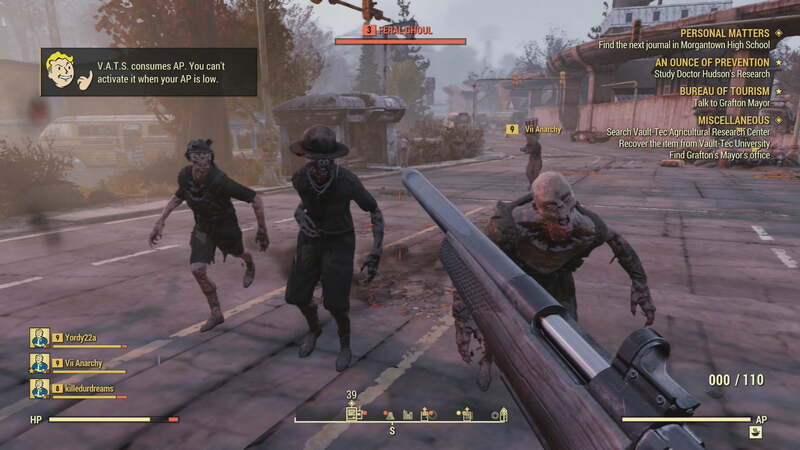 Followers and pets don’t exist yet, but they were in previous games built on the same engine, so it’d be no surprise if Fallout 76 added them. 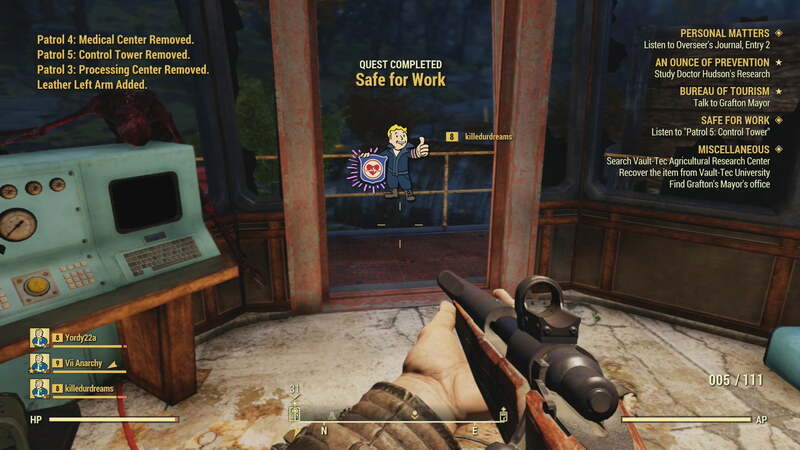 Boosts to leveling, resources, and caps (Fallout’s in-game currency) are a safe bet because Fallout 76 is already stingy in how it hands them out. And what of expansions? Bethesda has said nothing about it, and it makes sense. It’d be weird to hear of DLC even if the game were a massive success. Still, Bethesda has a long history of supporting its games with small-to-medium expansions that dates to The Elder Scrolls III: Morrowind. The Elder Scrolls Online has an incredible 13 expansions. Some are merely quest packs (which would be easy enough to incorporate in Fallout 76), but others add entirely new areas, like Morrowind and Summerset. The future is bright. Also dark. If Fallout 76 does follow in the footsteps of The Elder Scrolls Online, the game has a future. It won’t be anyone’s game of the year, and It will never feel like a fresh take on anything – not even its own franchise. Yet it will be there, entertaining Fallout fans for years. The most dedicated players will dig deep into the housing and cosmetic customization, building their own personal vision of a post-apocalyptic future, while the masses dip in as new expansions and major patches appear. This humble churn is worth some admiration. Games developed by Bethesda Studios have a reputation for buggy launches, but that reputation is paired with a barrage of content across its franchise. Serious fans of The Elder Scrolls and Fallout always have something to chew on, even if that something is a mobile game like Fallout Shelter. Just don’t expect Bethesda to change the fundamentals. The Elder Scrolls Online is a game with a lot of content that happily encourages players to enjoy it on their own terms, but it’s also a game that hasn’t fixed (and doesn’t seem interested in fixing) many of its shortcomings. The combat is just ok, the voice acting is wooden, player animations aren’t great, and the leveling system can be confusing. Fallout 76 — just like ESO — will continue, and it will improve. Someday, it may be a game that deserves glowing headlines and hot takes about how it’s really worth a try now, despite what you’ve heard. Just don’t expect it to be reborn, and be prepared to endure a hurricane of microtransactions.